SALT LAKE CITY – Today, Utah Attorney General Sean D. Reyes announced that a U.S. District Court granted the Motion for Preliminary Injunction filed by Utah and ten other states, and blocked implementation of the 2015 Waters of the United States (WOTUS) rule in those jurisdictions. The lawsuit, filed against the administrators of the U.S. Environmental Protection Agency and the U.S. Army Corps of Engineers in June 2015, challenged those agencies’ definition of WOTUS in the 2015 rule. In the controversial definition, “navigable waters” under federal control included traditionally state-regulated and smaller bodies of water, including roadside ditches, small ponds on farms, water features on golf courses, storm-water systems, and other small waterways like streams and wetlands. The coalition of states argued that this definition violated the Clean Water Act and the Administrative Procedure Act, as well as the Commerce Clause and Tenth Amendment of the U.S. Constitution. In addition to Utah, the 11-state coalition consists of Alabama, Florida, Georgia, Indiana, Kansas, North Carolina, South Carolina, West Virginia, Wisconsin, and Kentucky. In light of the District Court’s order, and an earlier similar injunction granted by the U.S. District Court for North Dakota, two federal courts have now issued injunctions against the 2015 WOTUS Rule in 24 states. 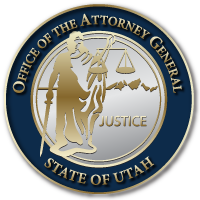 You can find a copy of the order here: https://attorneygeneral.utah.gov/wp-content/uploads/2018/06/20180608-WOTUS-preliminary-injunction-002.pdf. Here is a copy of the original filing: https://attorneygeneral.utah.gov/wp-content/uploads/2018/06/06.30.15-WOTUS-Lawsuit.pdf.